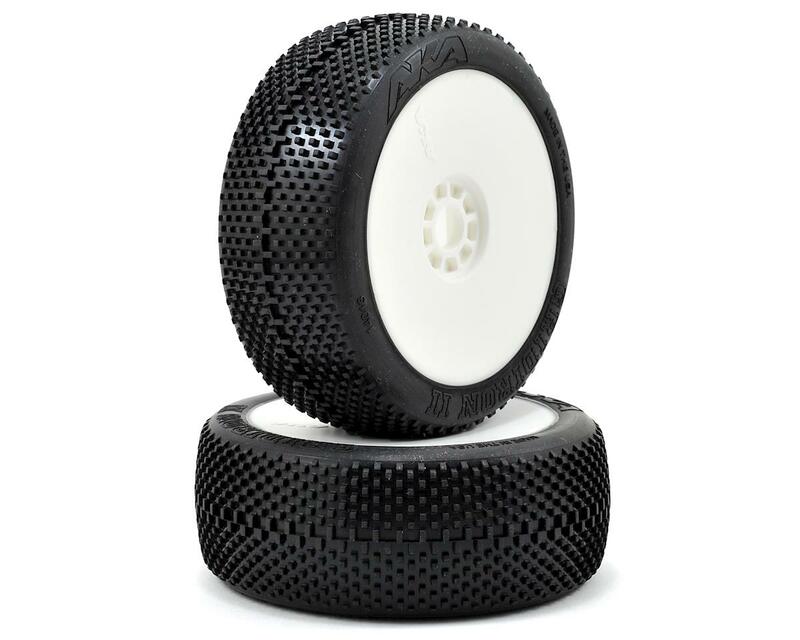 This is a set of two AKA Racing Grid Iron II 1/8 Scale Off-Road Buggy Tires, pre-mounted on white EVO wheels. 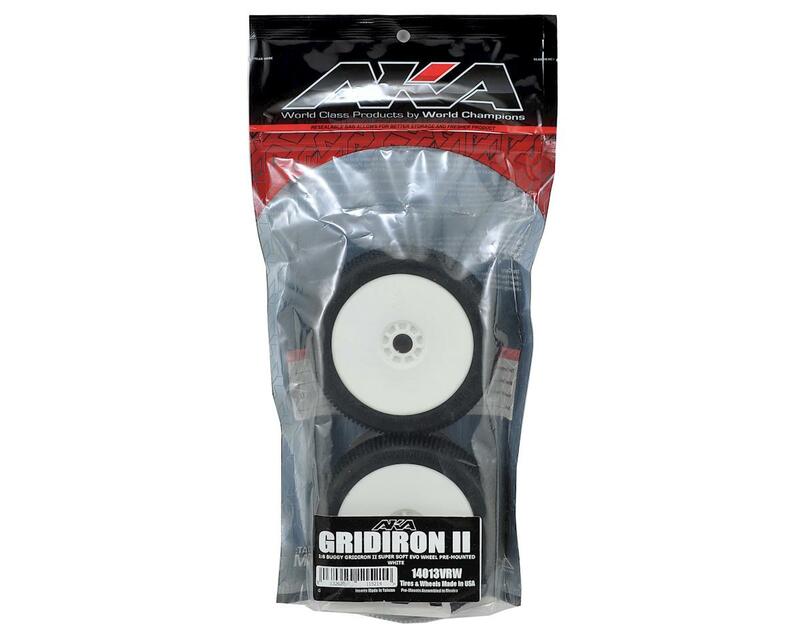 The Grid Iron II uses the same carcass as the World Championship winning Impact tire, with the addition of added waffle ribbing to help control tire expansion and angled side pins for better performance on rougher tracks. This created a tire that is 5% lighter than the original, with improved improving acceleration and all-around performance. These pre-mounts feature AKA's World Champion winning EVO wheel, combined with AKA's soft red insert. When these performance parts are combined with the AKA stiffener disc (AKA34003Y or AKA34003W), you have most technically advanced wheel/tire combo available.